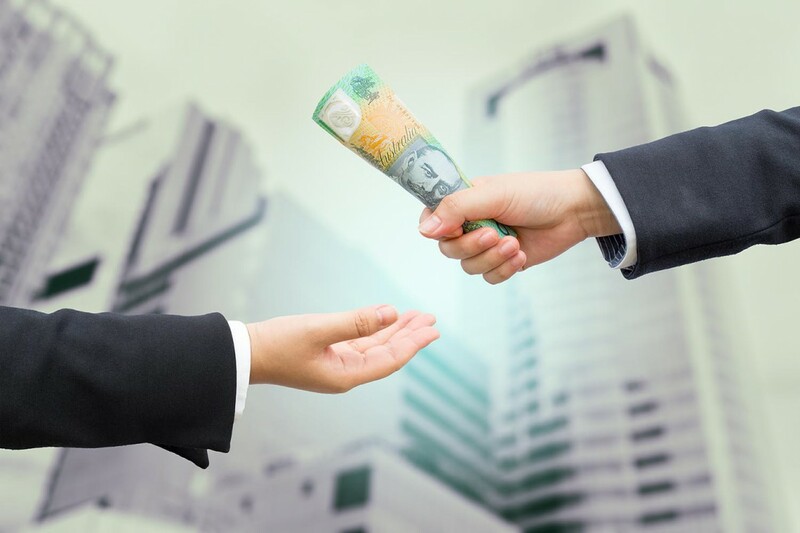 Historically, cash has been the preference for many Australian businesses. Unfortunately, this also made it very attractive for businesses to “forget” to disclose some of their cash-in-hand earnings. When cash is not banked, it’s very hard to trace. This meant that a lot of the participants of the cash economy were able to get away with tax avoidance and even getting around employment laws. undeclared income costs the Australian economy an estimated $15 billion in lost taxes and welfare payments each year. There are many businesses in the cash economy that do the right thing, but unfortunately because of the “bad apples,” all businesses in the cash economy have come under the microscope of the Tax Office and other government departments. Now how does this affect you? What are some of the industries being focused on? And what are some of the ways you can safeguard yourself against this crack down on the cash economy? Who is the ATO targeting? Some of the industries the ATO is focusing on are cafes and restaurants, carpentry and electrical services, hair, beauty and nail specialists, building tradespeople, road freight businesses, waste skip operators and house cleaners. people who use cash payments to hide income, to avoid losing Centrelink payments, or who are breaching visa restrictions. A key tool the ATO will be using to catch avoidance in the cash economy is data-matching programs. The ATO has created profiles of businesses based on their various characteristics. This allows them to benchmark and compares its income, profit margins and level of profitability with similar others. If a business falls outside these benchmarks they are more likely to get audited. Audits can be expensive and time-consuming even if you haven’t done anything wrong and have a legitimate reason for falling outside the ATO benchmarks. It is important to ensure your accountant has checked that you are within the benchmarks for your industry, sometimes choosing the correct industry code may be the difference between being audited or keeping clear of the ATO’s radar. For example, Let’s say a business earns income predominantly from selling goods (but also earns income from rendering services). When the tax return is done for this business, the business code that is chosen for the service industry (in which the business does not earn the majority of its income). The ATO will end up comparing this business against other businesses in a completely different industry which is likely to lead the ATO to the deem it to have fallen outside the industry benchmarks. Incentives to move away from cash are on the horizon. As part of its terms of reference, the Federal Government’s Black Economy Taskforce will look into possible tax and other incentives for small businesses that adopt a non-cash business model. How can you safeguard your business? The first place to look in terms of safeguarding your business is your bookkeeping. Make sure sales and purchases are recorded accurately (ideally in an accounting software). Make sure you issue invoices when a sale is made and that you keep purchase invoices on file. This will give you a clear audit trail to prove that you are declaring all income. Most importantly make sure you have an open line of communication with your accountant and ask them questions about how you can keep your business out of the ATO firing line. This is the first article in our series on the gig economy, where we explore the changes in the employment market, and the related tax and financial issues that workers and employers face. The gig economy is characterised by freelance and project-based work. Its players inhabit a constantly changing workscape and juggle a pastiche of jobs. In some circumstances, gig economy workers have very little connection with their “employers”. This is typical for the “share economy” workers of Uber, Airtasker and similar companies, where the platform owner facilitates jobs through a technological medium like a website or an app, and the workers pay a percentage of their earnings for access. But many gig workers make their living through a combination of employee and freelancer jobs. Sometimes known as “slashies” (for the slashes in their multifaceted career descriptions), these people often work across multiple industries and offer a diversity of skills and experience. A slashie might be, for example, a university tutor/web designer/bartender. If you are a solopreneur, a casual employee, a contractor or a slashie, the chances are that you are part of the gig economy. While recent changes in the labour market have brought flexibility for both employers and workers, they have also brought risk and uncertainty. For many, too, there is an increase in the amount of administration they must do for contracts, recordkeeping and their income stream, as well as greater complexity in planning a financial future. Each employment type, task and industry has unique characteristics and implications for tax and financial planning. But regardless of the category, similar tax, superannuation and income contingency planning considerations apply. We can help you manage these. The impact of the gig economy on the employment market and the economy as a whole is yet to be realised, as are the social effects, yet it is touted as the future of work. Many more of us are likely to find ourselves as players. So why not have an advantage? Understanding your obligations and entitlements and having a plan for stability in this dynamic market is critical for success. Are you an employee, a contractor, self-employed – or is your work a combination? If you are part of the gig economy, then it is essential to establish your status for each job. Fair Work Australia provides a clear summary based on the level of control you have in carrying out the work and responsibility for statutory obligations such as taxes and benefits. As an employee, you will have pay-as-you-go (PAYG) tax deducted from your wages, and superannuation and other benefits will be paid by your employer. Your contract will specify if you are a casual, fixed-term, or permanent employee. Employees also have the benefit of workers compensation if they are injured on the job. For any work you undertake as a contractor, you have responsibility for managing your own obligations, including your tax, superannuation and insurance. Determining your tax status will be more complex if you have multiple gigs. If you are a PAYG employee but also use an Australian Business Number (ABN) to invoice for other work, you will need to lodge an annual personal tax return and may also have to lodge a regular Business Activity Statement (BAS) and pay tax instalments. You will need to set aside funds out of the income from your invoiced work to make your BAS payments. These tax instalments are usually required quarterly, and it’s a good idea to set aside around 35% of each income payment you receive. To further complicate things, if you derive income from your individual skills or personal efforts – for example, if you are an entertainer, engineer or IT consultant – you’ll need to work out if you are classified as a personal services business (PSB) and/or you earn personal services income (PSI). This is significant, as there are substantial differences between the corporate and personal tax rates and the deductions claimable for the different income types. Accurately identifying your PSI/PSB status can be tricky, depending on your profession, how you are contracted and the scope of your work, especially where you have multiple contracts. If you earn more than the $75,000 threshold through your ABN, you need to register for Australian GST. And if you earn income as an Uber driver, you are now required to register for GST no matter how much (or little) you earn from that work. If this applies to you, talk to us about whether you can use your existing GST registration. For everyone else who works in the platform economy – watch this space! The Federal Government is setting its sights on better ways of capturing GST on consumption, as we’ve seen with the introduction of the “Netflix tax” on digital products and services and the proposed low-value imported goods tax. 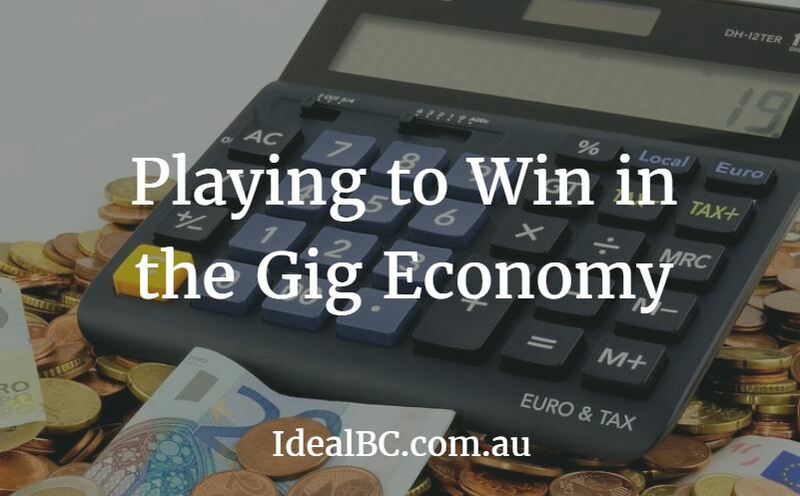 You’ll also need to manage your own superannuation for your gig-economy income, whether you divert money into an existing fund or set up a self managed super fund (SMSF). An SMSF may be worth considering if you’re looking for greater portability and diversity in investments. PAYG employees are covered for workers compensation by their employer. If you are a contractor or run a small business you will have to take out you own insurance to cover loss of income, illness, disability and death, and possibly other insurance types if you also employ people (workers compensation), sell products or provide certain services (professional indemnity). Negotiating entitlements for cross-industry work and a variety of tasks can be bamboozling. We can help make sure that you’re claiming appropriately for your types of work and business. Some common issues faced by gig economy workers include distiguishing between revenue and capital expenses, and apportioning claims where assets are for both personal and professional use. Don’t forget that if you’re undertaking project work, you might be entitled to claim for coworking space hire, software that allows for collaboration across a team, travel expenses and equipment depreciation. As always, good recordkeeping is essential – hold onto all of your receipts! If you’re a sole trader or casual employee, the level of control you have over the rates you charge will vary according to your profession and from gig to gig. Nonetheless, it is essential to build into your fee structure the amounts you need to cover your tax, superannuation, insurance, purchasing new equipment, training, any certification fees, repairs. Balancing current work while chasing future work and keeping up with tax and other obligations can be extremely challenging. You should also plan how you’ll deal with periods when you’ll have less work and income, and think about how to fund some holiday time. Talk to us if you’d like help developing a contingency plan. Things you should be familiar with even before the digital age, business owners keep track of everything using paper ledgers. Now a days, enterprises of all kinds, forms, and sizes utilize accounting software in keeping abreast on their revenues and expenditures, predicting future sales, managing their inventory, and recording important financial data. However, keeping their books up to date and overseeing financial transactions can tough and time consuming. Businesses must always bear in mind that proper bookkeeping translates to good financial judgment. On the other hand, poor bookkeeping results to lapses and mistakes that can immensely affect the business. Employing an effective accounting system that lets entrepreneurs identify their business’ strong points and vulnerabilities is a must. As a business owner, time is of utmost importance. Instead of focusing all your attention on managing your business, you may end up burning out from updating your finances and generating reports. A good accounting software should minimise the stress from keeping financial information up to date. When appropriately matched for your business and used properly and correctly, the right accounting software can do wonders. In contrast to manually updating books and using spreadsheet, accounting software will let you save a lot of time. The software itself slashes and gets rid off repetitious and superfluous data entries. Accounting software can perform various tasks efficiently. For instance, you can check your bank accounts and tax returns, automatically convert an order into a sales invoice, and update stock levels and records of your clients. It is indispensable for all businesses to easily and efficiently manage its cash flow. An accounting software can consolidate financial transactions involving accounts receivable, accounts payable, and billing, thereby giving the organization an array of choices with regards to longstanding growth and progress, and strategies in generating more income. An accounting software can give a brief summary and the current profile of your business. In addition, it provides comprehensive reports and other related information needed in creating and planning long-term strategies and campaigns. As the company grows and expands, the bookkeeping software also grows and expands, allowing more users and providing the essential types of reports and other business or financial data. Choosing the accounting software that best fit your business can be an arduous task. With a lot of choices available in the market, how can business owners figure out which of the accounting software that can readily be used is the right one for their company? Listed here are several factors to identify and consider to assist business owners in making a well thought-out and strategic choice when investing in an accounting software. What Your Business Needs Prior to purchasing an accounting software, business owners must identify first the nature of their business, its needs, and the accounting tasks that the software will execute. For instance, if your company generates millions of dollars yearly, your accounting needs will differ from an enterprise that makes less than $100,000 per annum. 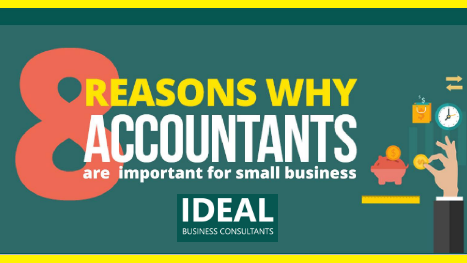 There are an array of choices of accounting software that are specifically designed for small- and medium-sized enterprises. You also need to consider the type of industry your business is engaged in. There are accounting software that are built for different business sectors, such as manufacturing and retail industries. Generally, there are three main types of accounting software available in the market that can help businesses of all sizes with their accounting needs and concerns: cloud computing software, desktop accounting software, and server-based software. ➢Cloud Computing Software can be accessed via the Internet. In here, the software provider store and save the company’s data in the cloud. With this, businesses can access and use this information anytime and anywhere they want to. Examples of common cloud accounting packages are Xero, MYOB, Sassu and QuickBooks Online. Ideally. ➢Desktop and Server based Software is set up directly on your computer or a server. Unlike cloud computing software where you can use the company’s data on your own convenience, desktop accounting software can only be utilized, including the stored data, on the computer where it was installed. After fully realizing what your company explicitly needs, you have to make a list of accounting functions that you need from your software so that you can narrow down your choices. In making a decision, you can create two columns — the product features you want versus the product features you need. Also, take into account the software’s integrability with other business platforms, such as CRM or shopping cart software. Usually, majority of beginner’s software package includes listing and/or updating records of customers and suppliers, creating customer invoices and statements, and generating important financial reports and creditor reports. Accounting software features such as automation, tax preparation, payroll processing, mobile accessibility, multi-user access, quote and estimate creation, sales tracking, time tracking, and live bank feeds should be considered for they will surely help business owners save time and manage the company’s finances. The accessibility and convenience of connecting to the software provider, other users, and professionals is imperative, especially for new product users since not all of their concerns and issues regarding the accounting software are addressed in the product guides and manuals. Opt for software providers that have large customer bases. These online communities comprised of interactive users, and sometimes employees who join in discussions, can help you resolve problems that are related to the accounting software. Probably the last and most important determinant you have to take into account is your budget. When purchasing an accounting software, not only the product’s price should be weighed, but also the fees for product upgrade, licensing, and support. There are also other charges involved such as technical support fees that cover the set up and installation of the bookkeeping software, and costs for additional features like company branding and team functionalities. Auspiciously, most software providers offer free trial periods. With this, you can assess whether or not the product’s benefits outweigh the costs. This is also a great opportunity for you to accustom yourself with the software. Once you are settled and determined to purchase the accounting software of your choice, it wouldn’t hurt consulting a trusted accountant for advices, suggestions, or recommendations.